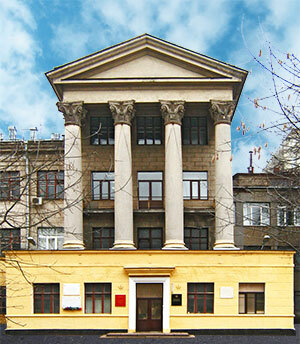 A.V.Topchiev Institute of Petrochemical Synthesis, RAS (TIPS RAS) is the part of Russian Academy of Sciences, and was founded in 1934 as Institute of Fossil Fuel. Today, TIPS RAS is a world recognized academic Institute (employees: ca.400), that has a leading international position in petrochemistry and oil refinery, polymers and material science (incl. nanocomposites), membranes and membrane technology. TIPS RAS’s strategy is the combination of multidisciplinary background and high skilled scientists with academic and industrial experience that ensures research towards innovative solutions of every challenging task and needs of modern society and industry. TIPS RAS has established 8 Research and Education Centers (REC) with leading Universities in corresponding areas as well as 2 International Laboratories and 1 Centre of Excellence together with European partners that allows to sustain leading positions in world academic society by attraction and education of high-skilled and motivated young scientists. Traditionally TIPS RAS promotes the knowledge exchange and fruitful discussions in scientific community by organizing of the conferences in these core areas – “Actual Challenges of Petrochemistry” (once in four years), “Young Scientist School on Petrochemistry” (once in four years), “Membranes” (once in three years), “Rheology Symposium” (biannually). Since 1956, there are monthly seminars “Obtaining, research and application of low-temperature plasma” n.a. L.S. Polak (chairman – Dr. Yu.A. Lebedev). TIPS RAS also holds the meetings of G.V. Vinogradov Rheological Society (chairman – corresponding member V.G. Kulichikhin). TIPS RAS is proud to host Scientific Council of Russian Academy of Sciences “Fossil and Renewable Hydrocarbon Feed” (chairman – academician S.N. Khadzhiev). “Membranes and Membrane Technologies” (editor-in-chief is academician Salambek N. Khadzhiev). “Mass-spectrometry”. The editor-in-chief is Doctor of Chemistry, professor Vladimir G. Zaikin. Short information about TIPS RAS (PDF 731KB). Brochure - selected topics (PDF 1.18 MB).